— Jack Canfield, Coauthor of "the Chicken Soup for the Soul®" series and "The Success Principles™: How to Get from Where You Are to Where You Want to Be." 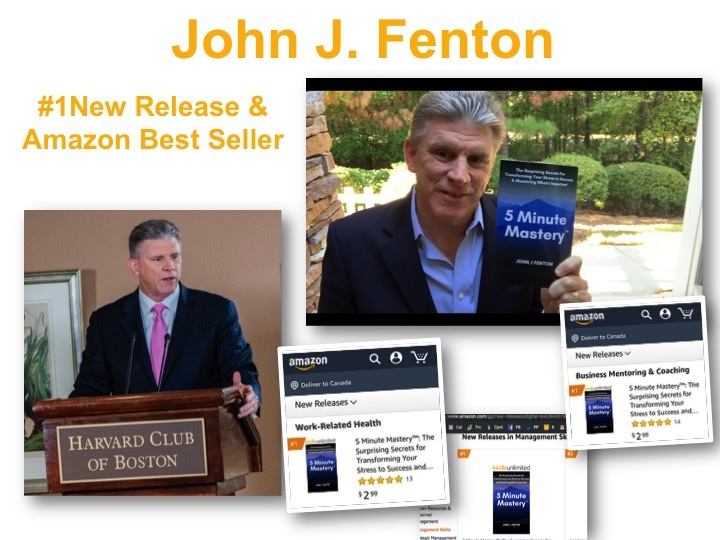 I am excited to share my new Amazon Bestseller, "5 Minute Mastery™, The Surprising Secrets for Transforming your Stress to Success and Mastering what is Most Important". I am so excited to be sharing my new book, Amazon Bestseller and #1 New Release with the world, 5 Minute Mastery™, The Surprising Secrets for Transforming your Stress to Success and Mastering What’s Important. It represents my life's work filled with the wisdom and experiences I gained as an executive, leader, father, husband and Black Belt/Master in Tai Chi. In this book, I give you helpful easy to follow tips that you can use right away to energize your life and execute on your strategies for success which will empower you to create your life by your design. I wrote this book for leaders, executives and anyone who is looking for more clarity, desires more freedom and deserves greater success. Thank you for purchasing 5 Minute Mastery™. To receive your FREE BONUS GIFTS for, just click on the blue button to take you to the registration landing page. (This information will not be shared or distributed in any way, and will be used by John J Fenton Executive Coaching only).